I've figured out a way to achieve this. Firstly I found this article Monitoring last result of scheduled tasks on Windows. 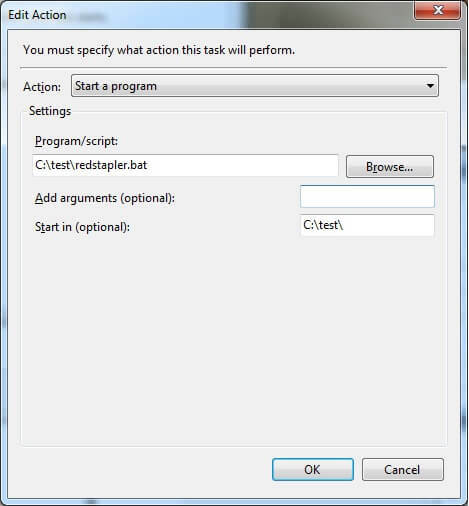 This contained a script written in Perl on how to obtain the Last Run Result of a scheduled task.... 25/05/2012�� When I open task scheduler I do not see my task listed. I have made sure to "Show Hidden Tasks". I know the task is running as I keep getting errors about not being to find the ad-hoc network. I have made sure to "Show Hidden Tasks". 22/08/2018�� Sounds like task scheduler still sees the event as running. As for amending the script you could just add a simple statement at the end that writes to a file (maybe call it log/debug). Have it write the time and date it ran. Examples. The following example is taken from the Samples for Parallel Programming with the .NET Framework 4 on the MSDN Code Gallery Web site. It creates a custom task scheduler that limits the number of threads used by the app.